I've always admired art that mixes up with scientific elements, it gives people a wider view on the evolution we live in today and a more vast knowledge in art. This time there's going to be both of that and the disasters we have made on this humble planet. We live on a delicate planet and as we know it, we fucked it up. I don't say that so you feel guilty, but on the other hand we're all disgraced beings. As we all know mostly of the nuclear waste goes underground or when it hits the ground the vegetation becomes contaminated and mostly the insects are the good targets for that. As we all know there were many nuclear disasters and still it can happen before our eyes. The earliest was in the 50s, in Canada, when the reactor core was damaged. In the following years, many more nuclear “accidents” occurred. Like Ishikawa, Chernobyl, Fukushima, Prypiat, Hamm-Uentrop, Saint-Laurent-des-Eaux, etc. Now, if we all think about the beauties that nature can give us and all that beauty is disturbed by a flow of chemical fluid. How would that look like? What's the cause of this chemical reaction or deformation on the body? How can little things handle that massive chemical fluid. In Chernobyl some animals are used to the amount of radioactivity and has no mutation in their body. “Invertebrates (especially insects) make up the foundation of our ecosystems, a fantastical thing for me to gain perspective in my life. In fact, their worlds and ancient timelines are so extensive and beyond our comprehension.”. These are the words of Joianna Bitlle, she once said this on her tumblr. Joianna Bittle (born 1975), lives and works in New York City. 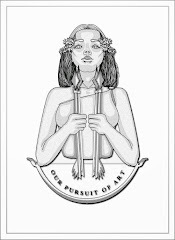 She exhibited many of her works in museums like Marfa, TX at Eugene Binder Gallery, Wave Hill in the Bronx, MoMa, etc. 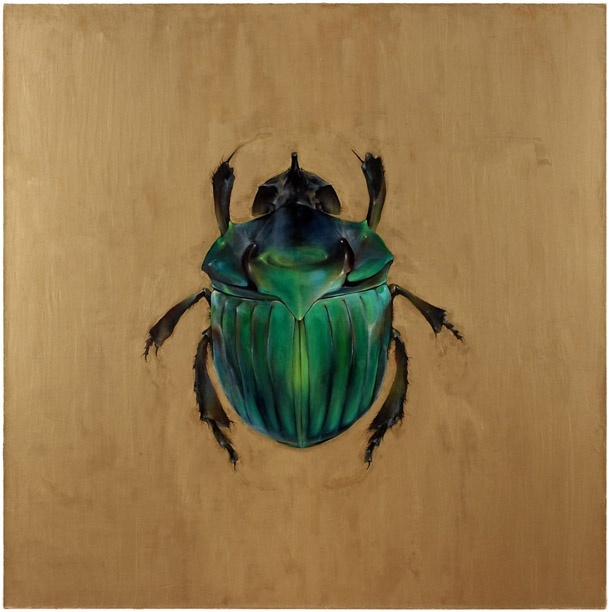 In her 'A Royal Family' series, she depict exotic beetles from around the world. 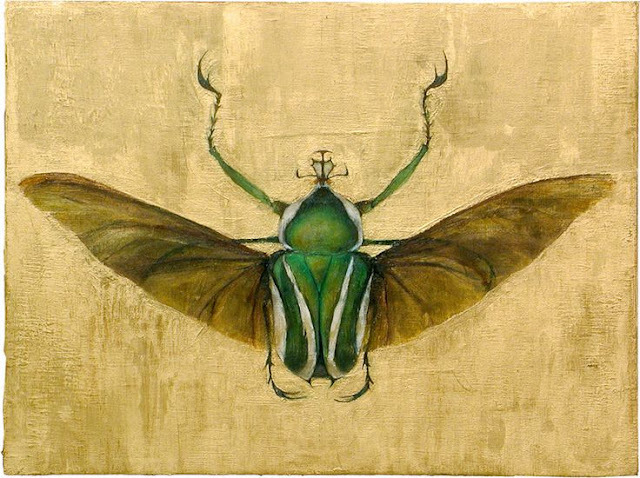 She paints these astonishing species in large canvasses (on a human scale), in each set she paints these insect on a golden background to refer to altarpieces and religious icons of the Byzantine. Every insect she paint are exposed, but resilient and appear embodied with susceptibility and decency. When you have a good look and visibility on these mysterious species, you can admire their existence more and more. You all wonder, what do these pictures or the artist itself have to do with the opening of this article. I mean, I wrote about the nuclear devastation and deformed animals or insects. I want you to see how our world is changing from year after year, how endangered species from big to small are wiping out from our globe. The other thing I want to show you is, how these beautiful creatures are changing into deformed and devastated beings. From something so eerie to be something critically damaged. 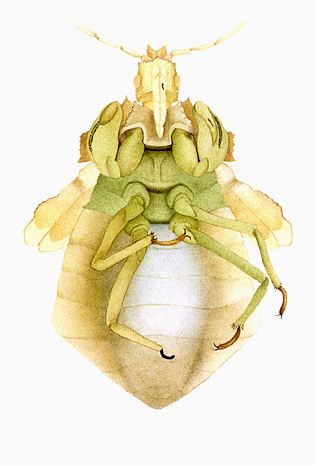 Cornelia Hesse-Honegger, is a Swiss virtual artist and a science illustrator artist. 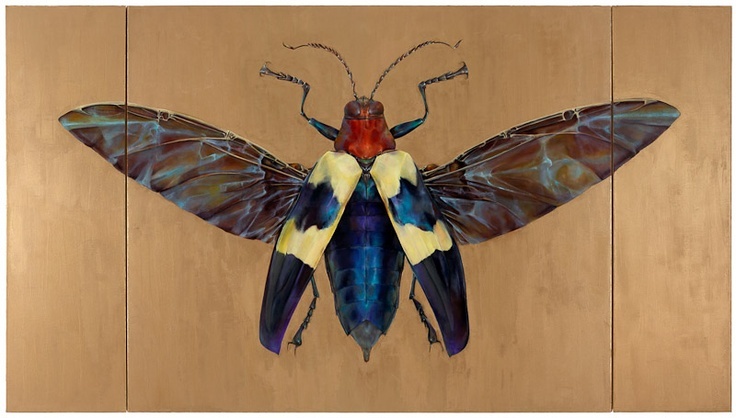 She wants to represent the insects as an evidence of a beautiful yet endangered species. 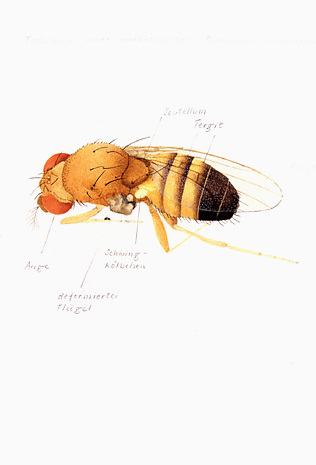 She made a lot of studies in the biological or scientific area of species. 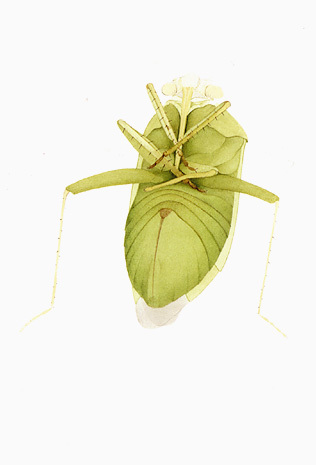 She worked for 25 years as a scientific illustrator for the scientific departement of the Natural History Museum at the University of Zurich. 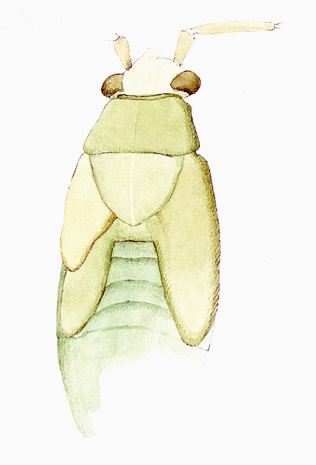 Her idea is quite simple to me, but it is an evidence and let us travel into the sphere of these insects or species. 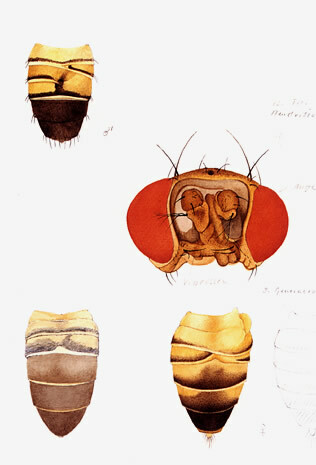 As a scientific illustrator she had to work for Prof. Hans Burla, a geneticist at the Zoological Institute of the University of Zurich. 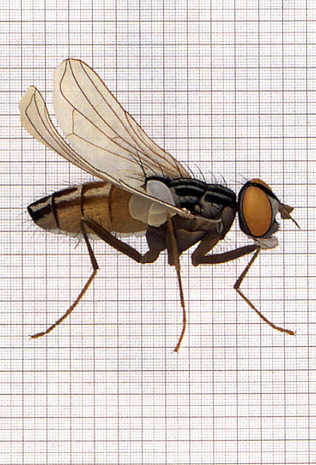 In 1967 he gave her an assigment to draw Drosophila Subobscura flies that had been mutated in the laboratory by adding a poison (EMS) to their food. 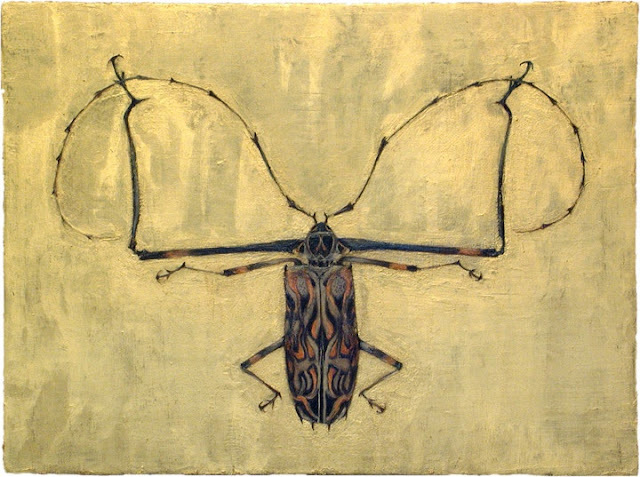 Hemiptera or true bugs are the favorite insects of the artist. 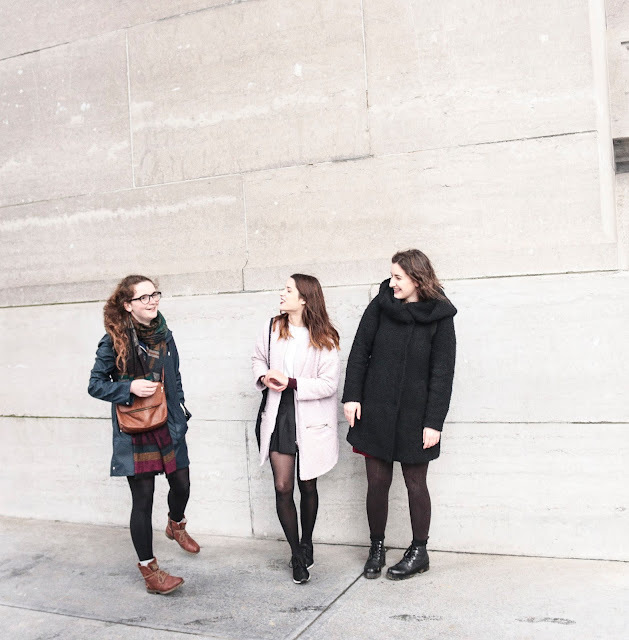 A few years later around the 80s, when Chernobyl's catastrophe took place, she traveled to Sweden and southern part of Switzerland (the Ticino). These areas were contaminated by the fallout from Chernobyl and there she studied the offspring of true bugs irradiated by rain when the radioactive cloud from Chernobyl hit Sweden in april 1986 and the Ticino in May, according to Hesse-Honegger. In 1990 she couldn't stand without investigating those contaminated areas where the true bugs formed lives. 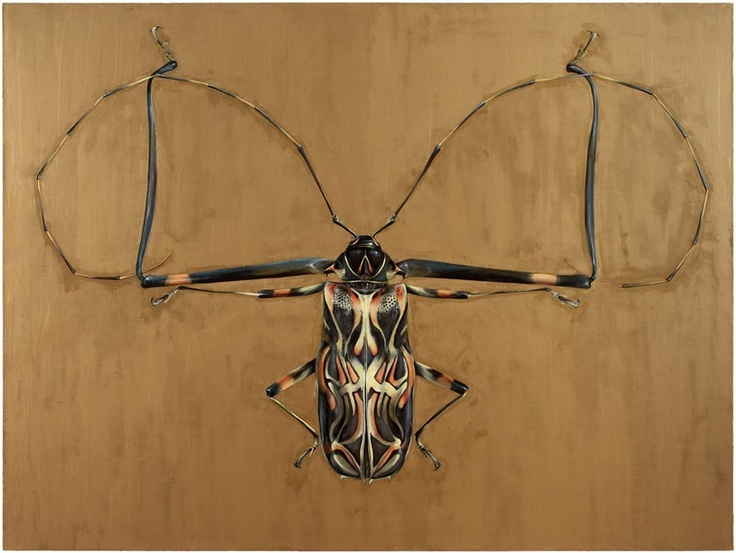 The bugs she saw were Heavily deformed and took it to make studies of it. In 2004 she decided to finally investigate her admiration on true bugs in Agent Orange spray areas in South Vietnam. 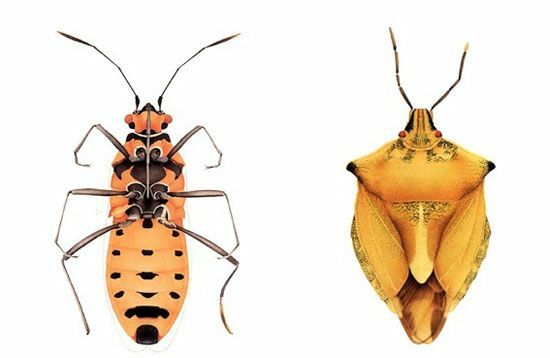 Since independent travel and collection of insects is not permitted, she was very pleased that the biologist Dr. Bui Thi Lang took time to accompany her and help her in many aspects of her research. During the long hours they've traveled Dr. Bui Thi Lang told her about the war, and the suffering of the Vietnamese people. 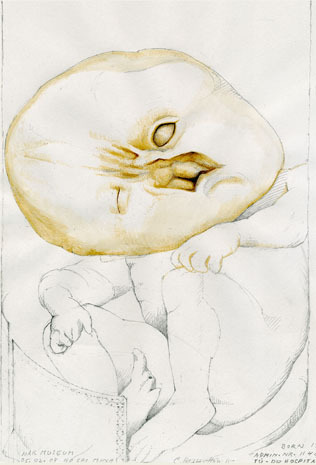 Cornelia Hesse-Honegger, Newborn Child War Museum Ho Chi Minh City, Vietnam. Do you want more information about the artist? Just visit her website.